Locals and visitors alike, sampling the fare of Napa Valley restaurants, are often inspired to head to the kitchens to whip up their own masterpieces. Here, too, the bounty of the valley is plentiful. 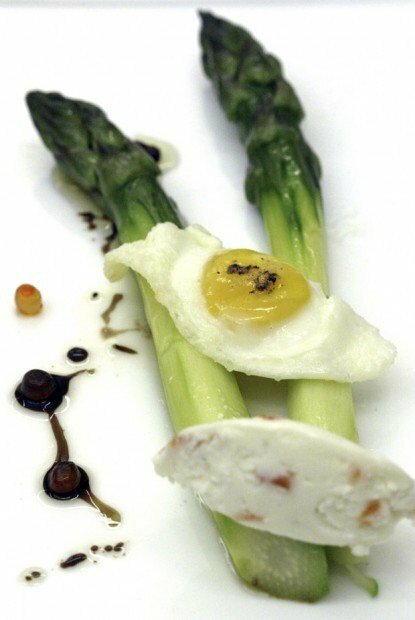 The calendar of cooking classes for spring is growing every day, with options for every budget. The choices at these locations only scratch the surface yet represent cuisine ranging from the familiar to the exotic. Prices are per person, unless noted. The CIA's Food Enthusiast program has classes as short as two hours or lasting up to five days (the popular Boot Camp series). Usually capped at 12 students, classes tend to sell out rapidly. "Many of our students are amateur cooks, so I always make them feel comfortable by stating right up front that there are no stupid questions," said chef Marcos Hernandez, a CIA instructor. Two-hour "CIA Samplings" include a lecture and demonstration, followed by preparation of small plates, for $95. This spring's lineup focuses on Hot Latin Cooking (April 9), Flavors of the New Spanish Table (April 23), the North African Spice Kitchen (April 30) and Glorious Foods of Greece (May 21). Classes lasting five hours - the "Taste of CIA Cookbooks" series - include a lecture, hands-on instruction, lunch, cookbook and CIA apron for $250. The spring schedule ranges from Cake Decorating (March 5), to Gourmet Meals in Minutes (April 2), to Seasons in the Wine Country or Everyday Grilling (both May 7). If time is tight, take a mini-class that unlocks the flavors of chocolate or olive oil. Lasting approximately 20 minutes, these are conducted in the institute's new Flavor Bar and cost $10 to $15. The CIA's website (ciachef.edu/california/) has details, or call 967-2309. The new year brought a new culinary director, Marina Kercher, to Whole Foods Market at Bel Aire Plaza in Napa, which is gearing up again for a full schedule of cooking classes. "We will feature guest chefs, cookbook signings and many similar food-related events," said Kercher, who plans inexpensive instruction that varies from how to filet a fish to preparing vegan cuisine. She's busy freshening up the large kitchen that has seating around the counter for smaller groups and two monitors overhead for larger classes (up to 22 students) to watch the action. Cooking classes for couples are penciled in at $160 for two. Winemaker dinners will also be part of the mix, at about $60 to $75. Family dinner classes are on the agenda, too, for parents and children to cook together and share the meal. This summer, children as young as 4 can also be part of cooking camps - two-hour classes where kids learn to make a simple dish. Kercher is putting the finishing touches on the first series of classes, and will hand out calendars at the market's "Grand Reopening" on February 25, from 5 to 8 p.m. Find the latest at wholefoodsmarket.com or call 224-6300. Go back to college this spring and learn to make cioppino, croissants or a "perfect" steak. The college's Upvalley campus at 1088 College Ave. hosts a Food Enthusiast program of evening and weekend classes costing $75 to $100. 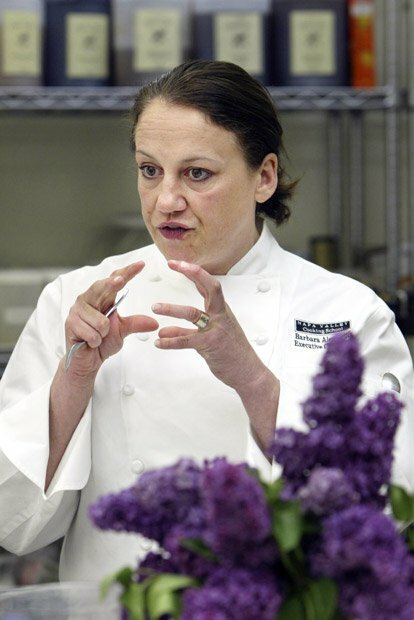 Chef instructor Laura Lee leads some of the classes, as well as the school's executive chef, Barbara Alexander. Celebrate Mardi Gras with New Orleans chef Kim Wiss as you prepare Southern favorites such as jambalaya (March 1). Spring Vegetable Pastas showcases healthful main dishes that are easy and quick (April 12). Mastering Paella on the Open Fire will give you the skills needed to make this crowd-pleasing dish (April 21). In addition to enjoying the meals they've created, students receive a package of the recipes. Visit napavalley.edu for more class descriptions, and call 967-2900 to register. Cheesemonger John Raymond has a wealth of knowledge about cheese, conversing easily about it like some men discuss sports. In partnership with the Made in Napa Valley Culinary Centre, at 388 Devlin Road near the Napa County Airport, John has planned a series of classes this spring to spotlight cuisine from Brazil to Norway. Cheese has a starring role in many of the dishes, with John also presenting a cheese tasting before and after class. Evening classes include Friday "date nights." Register for Brazilian Date Night (March 11) and learn to prepare Feijoada, a stew of beans, pork and beef often called the national dish of Brazil. Daytime classes include the Cooking with Tea Brunch (Feb. 27), Celtic Cheese and Food Traditions (March 19), a Spring Brunch with fresh lamb (April 17), a Mother's Day High Tea that's appropriate for kids (May 8) and a Norwegian Brunch (May 15) to celebrate Norway's Independence Day. Classes vary from $95 to $175. The Culinary Centre at Made in Napa Valley can accommodate up to 30 people. Students receive a copy of the recipes and a gift that's unique to each class and instructor. Call 800-266-6936 or visit raymondcheesemongers.com. "Fun" best describesthe food-and-wine pairings offered at this bed-and-breakfast inn at 486 Coombs Street, where owners Ken and Susie Pope have been conducting cooking classes for four years. Past guest chefs are such well-known names as Greg Cole, Bob Hurley, Ken Frank and Joanne Weir. Spring classes will feature Scott Kendall of Carpe Diem Wine Bar (March 19) and Angela Tamura of ZuZu (May 21), among others. Participating wineries will be Grgich Hills, Hagafen and Porter Family Vineyards. At $150, the four-hour classes - limited to 12 students - begin at 4 p.m. on a Saturday and wrap up with the group sitting down to the complete dinner they've prepared. A complimentary apron and the recipes are included. Check the inn's website (cedargablesinn.com), or call 224-7969. Professional chef Julie Logue-Riordan offers intimate, hands-on cooking classes that showcase the products and wines of the Napa Valley. Her upcoming spring classes include tours of the Oxbow Public Market in Napa followed by a cooking class that "emphasize techniques that allow the ingredients to shine," Logue-Riordan says. For more information, visit cookingwithjulie.com, call 707-227-5036 or e-mail julie@cookingwithjulie.com.